Knives out. Celebrity Chef Benny and other Judges will decide which Shisanyama outlet will win at the finals in Soweto, December 10. Whatever the secret to a great Shisanyama, Windhoek Beer is challenging South Africans to nominate their favourite during the Windhoek Shisanyama Search with Chef Benny and stand the chance to join in the action at the final event taking place on the 10th December in Soweto. The main event will bring together the top eight Shisanyama finalists in one venue. It will be an explosion of delicious Shisanyama tastes, complemented by ice cold Windhoek Beer and great entertainment creating an ultimate experience for fans. 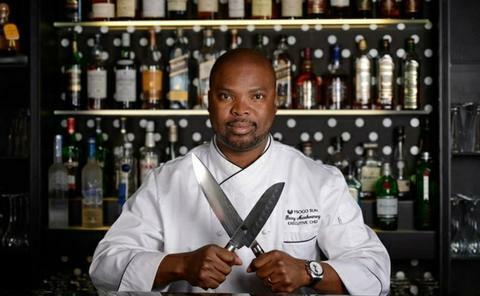 The winning Shisanyama, voted for by consumers and moderated by judges, including Chef Benny, will walk away with bragging rights and prizes worth half a Million Rand. To nominate your favourite Shisanyama, dial *120*4321# and follow the prompts. To stand a chance to win instant prizes and tickets to the main event, buy a Windhoek beer, dial *120*4321#, and enter your unique code (found under the bottle crown or can ring pull). Chef Benny shares some tips on creating a great Shisanyama experience. I always look for places that combine fresh, good quality meats and ingredients. They should offer a variety of meats, sides and entertainment to suit all tastes and the beer should always be cold! Your three essential ingredients include: great company, great food and100% pure beer. The secret to creating great Shisanyama starts with getting the fire right. Once you have a good fire going the rest is easy. Get the temperature of the fire right with the palm test. If your palm feels too hot the fire is ready, if you can keep it there for five seconds or more, the temperature is too low – either lower the grill closer to the fire or add hot coals. 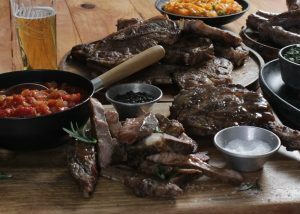 Buy the best quality meat available for your budget and keep at room temperature at least 30 minutes prior to braaing. Chef Benny’s recipe for crumbed mealie pap is one for the books. Simply cook pap with sweetcorn, veg stock, butter and parsley. Once cool, cut into cubes and dust with flour, dip in the egg mix and coat with panko crumbs, before deep frying. 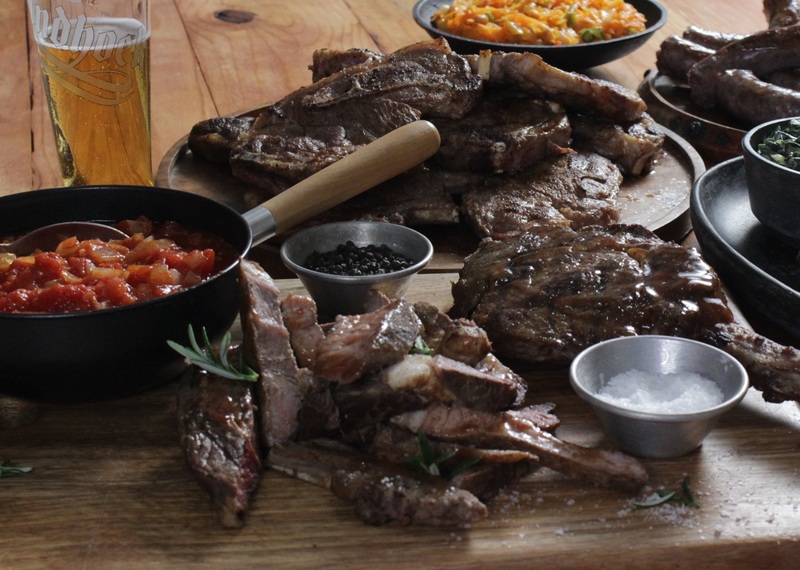 5 hampers are up for grabs, each includes 6 Windhoek Lager pack, Wooden Meat Board, an Apron and a USB bottle opener. Which 100% Pure Beer is best enjoyed when at a Shisanyama? Send answer, name and contacts to info@sowetolifemag.co.za or sydney@sowetolifemag.co.za, on or before November Monday 6 2017.